Thousands of people climb to the top of Mount Timpanogos mountain every year, but many miss so-called the “heart” of the mountain, the Timpanogos Caves. 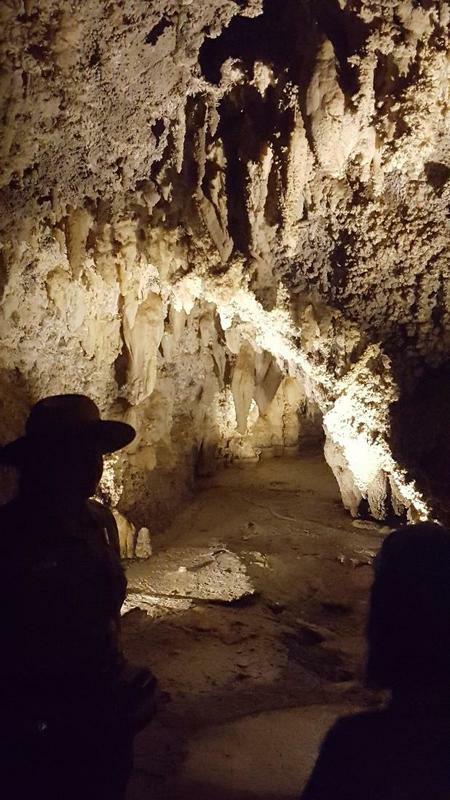 Settlers in Utah Valley discovered three separate caves in American Fork Canyon, seemingly undisturbed. Each cave is filled with exceptional varieties of stalactites, stalagmites, frostwork, flowstone, and other unique cave structures. The first of these caves was discovered in 1877 by logger Martin Hansen as he was cutting wood in the canyon. Mountain lion tracks near where he was working led to the entrance of a cave high up the canyon wall. His discovery came to be known as Hansen Cave. Inside the cave Martin discovered colorful and beautiful formations, which unfortunately were removed by visitors and miners over time. The next cave, Timpanogos Cave, was not discovered until 1913. Two young men, James Gough and Frank Johnson, became bored while on a tour of Hansen Cave and went exploring. After becoming stuck and taking an alternate route back to their group, they stumbled upon an opening to another cave. This discovery was eventually lost after being covered by a landslide. 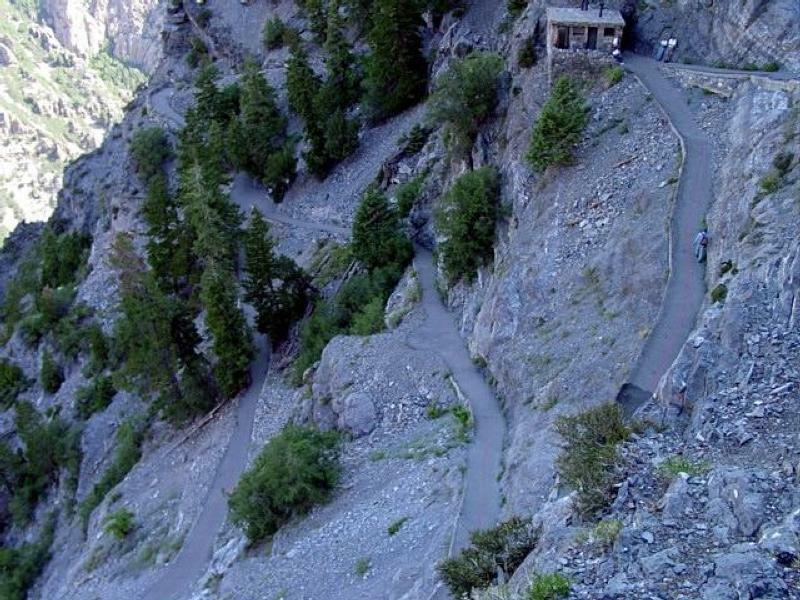 Though the entrance was covered, rumors of its discovery were perpetuated by an article in the American Fork Citizen. In 1921, a group went to find it once again. 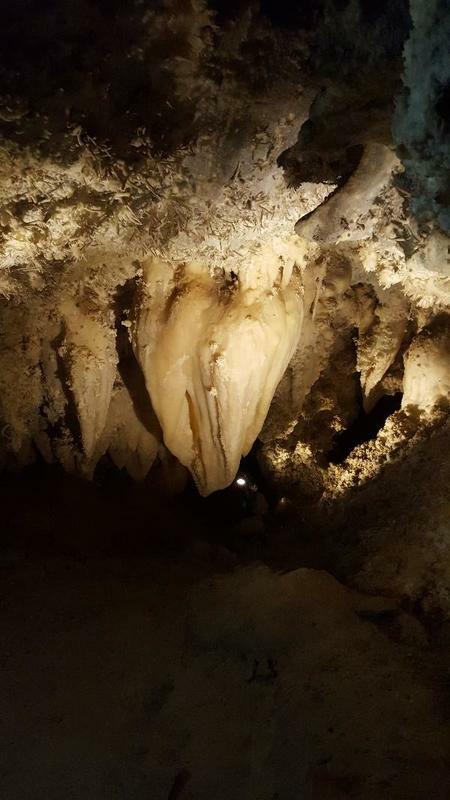 Returning from the summit of Timpanogos, this group of friends decided to visit Hansen Cave in the hope of finding the new cave mentioned in the article. 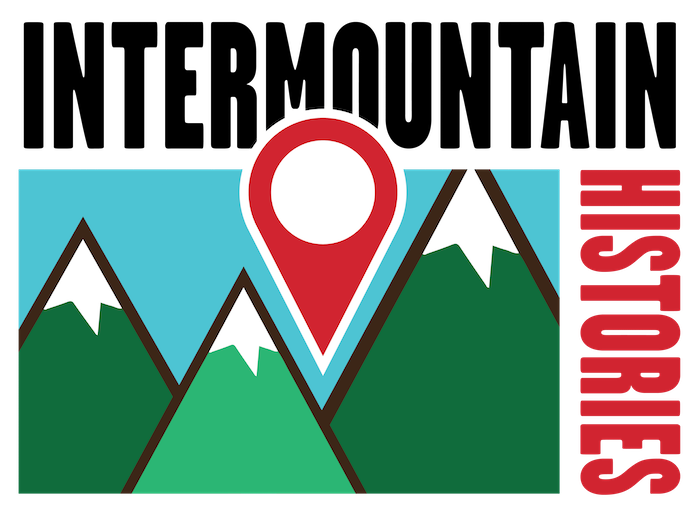 Surprisingly, they rediscovered the entrance to Timpanogos cave and subsequently formed the Payson Alpine Club dedicated to protecting the cave from the thieves and vandals that had destroyed Hansen Cave. The last cave was discovered in 1921 by Heber Hansen and his nephew Wayne as they were hunting. While on the opposite side of the canyon, facing the two previously discovered caves, the pair spotted a potential third opening between the two other entrances. This third discovery eventually became known as Middle Cave. The three caves are now connected by tunnels to allow tour groups to pass through. When the people of Utah Valley began to recognize the significance of the caves and the potential for tourism, protecting the caves became a higher priority. Mining claims and previous land disputes threatened the existence of the three caves, and only through the valiant efforts of local citizens, and an appeal to the president of the United States, did it become possible to protect and establish these three caves as the national monument that they are today. 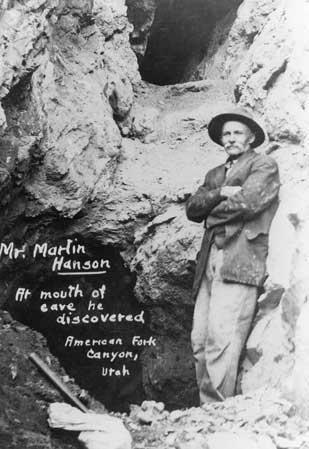 Martin Hansen stands at the natural entrance to Hansen Cave, which he discovered in 1887. ~ Source: From the National Parks Service. “Timpanogos Cave: Martin Hansen,” available at https://www.nps.gov/tica/learn/historyculture/martin-hansen.htm. Great Heart of Timpanogos ~ Source: Photograph by author. 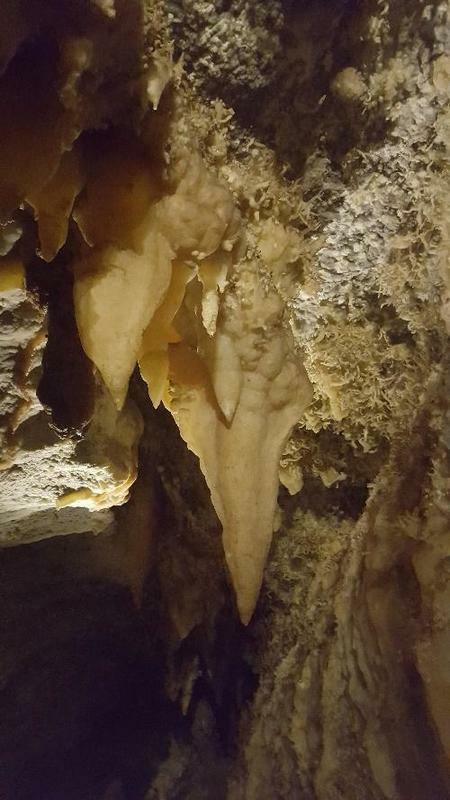 Stalactite in Timpanogos Cave ~ Source: Photograph by author. 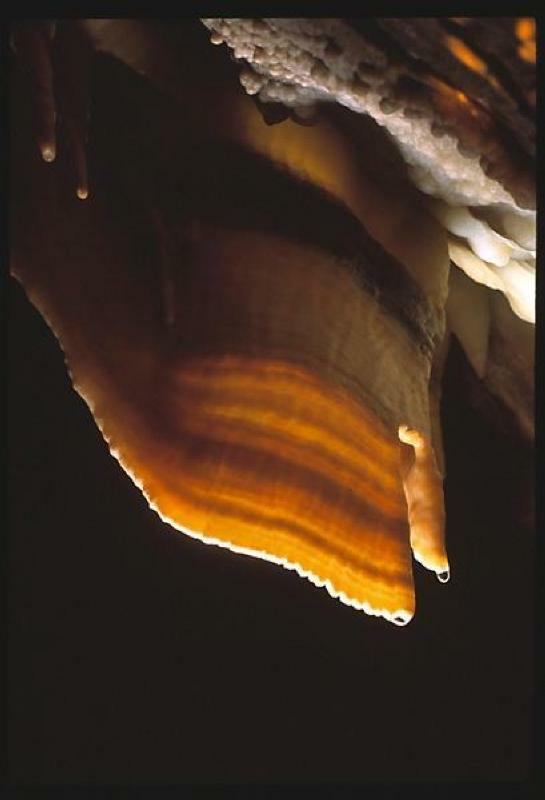 Cave Bacon ~ Source: From the National Parks Service. “In the Cave,” available at https://www.nps.gov/media/photo/gallery.htm?id=D161F4FF-155D-451F-676783370637A902. Forest Ranger Outlined Against Stalactites ~ Source: Photograph by author. Look Down from the Top: “Last Chance” restrooms near end of hike. ~ Source: From the National Parks Service. “On the Trail,” available at https://www.nps.gov/media/photo/gallery.htm?id=D16267A7-155D-451F-67D3094B16A62F9B. The Cave Entrance ~ Source: From the National Parks Service. “On the Trail,” available at https://www.nps.gov/media/photo/gallery.htm?id=D16267A7-155D-451F-67D3094B16A62F9B. Ellis Benson, Brigham Young University, “Timpanogos Cave National Monument,” Intermountain Histories, accessed April 19, 2019, https://www.intermountainhistories.org/items/show/181. American Fork Citizen. “American Fork Canyon and Cave Latest Novelties for Motorists,” August 7, 1920. Available at https://newspapers.lib.utah.edu/details?id=26926. American Fork Citizen. “Another Beautiful Cave Discovery,” July 30, 1921. Available at https://newspapers.lib.utah.edu/details?id=32273. From the National Parks Service. “Timpanogos Cave: James W. Gough and Frank Johnson,” available at https://www.nps.gov/tica/learn/historyculture/james-w-gough-and-frank-johnson.htm. From the National Parks Service. “Timpanogos Cave: Vearl Manwill,” available at https://www.nps.gov/tica/learn/historyculture/vearl-manwill.htm. Pulham, Cami. 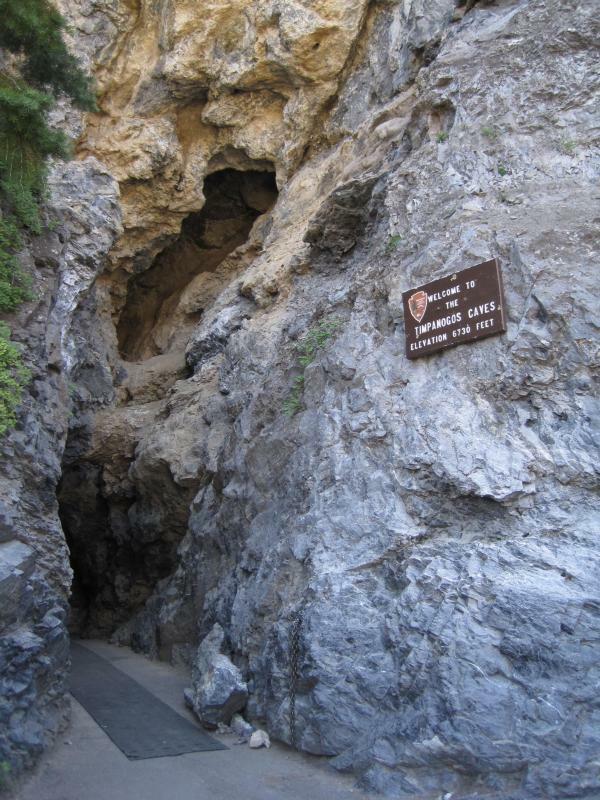 Heart of the mountain: the history of Timpanogos Cave National Monument. Washington, D.C.: U.S. Department of the Interior, National Park Service, 2009.